Small but mighty, this versatile utility vehicle is packed with innovative features. 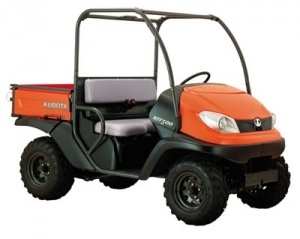 The RTV400Ci is a feature-rich vehicle in Kubota's popular RTV series, able to carry loads of up to 200kg in its robust manually dumping cargo bed. The machine is powered by a new and innovative high-revving single cylinder 16hp air-cooled petrol engine, which is both durable and offers high performance. You also don't need to worry about cold starting or manual choke adjustment issues, as this particular model features an electronic fuel injection system to keep things running smoothly. The RTV400Ci has a top speed of 40 km/h with a 20 litre fuel tank, ensuring the feature-rich package is backed up by performance and highly capable design. In addition, Kubota have designed an improved Continuously Variable Transmission system called CVT Plus, with an exclusive Inertial Clutch. This ensures minimal slippage of the thick, double-cogged belts, prioritising highly responsive control and improved durability compared to competitors. You will also find the Inertial Clutch offers dynamic braking during descents, again allowing for a greater deal of control as well as safety. All this is protected by a robust cover to guard against dirt and dust intrusion to ensure your vehicle will keep running longer. Importantly for utility vehicles, safety is paramount with the RTV400Ci. As well as the heightened level of control offered by the engine and transmission, this vehicle boasts a strong structural frame that meets the OSHA 1928.53 Rollover Protection Standards. Braking is handled by the 4-wheel disc brakes, while it also employs a robust semi-independent rear suspension system. The RTV400Ci is also upgradeable with a range of options, including a Front Guard Kit, Tow Hitch, Windshields and Roofs, as well as Wiper, Headrest and Lighting Kits, enabling you to get even more from your vehicle. Please contact us for more information on specific additions. 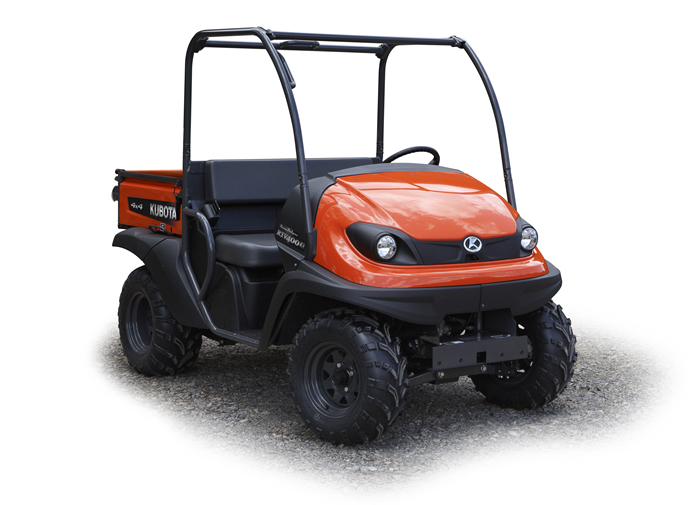 The RTV500 boasts a compact frame designed for easy loading onto pickup trucks and trailers, while also including Kubota's state of the art hydrostatic transmission system, and a 2-cylinder 15.8hp petrol engine.